s it possible to turn a life around? To change oneself completely? To find hope in the darkest hours? 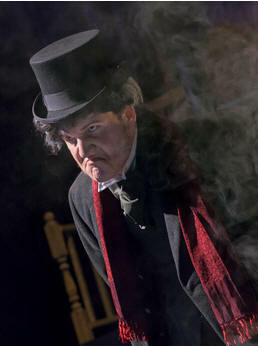 More than 160 years after it first captured imaginations, Charles Dickens’ A Christmas Carol continues to astound and delight audiences and actors alike. 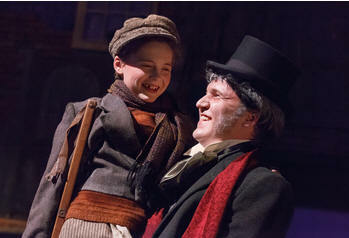 Playing December 10th - 21st at UFV Theatre, this new production offers all the warmhearted joy and memorable Dickensian characters known around the world. As the approaching Christmas fouls his mood, Scrooge berates his poor clerk Bob Cratchit (Blake Kimber) and shuts out his only living relative, his nephew Fred (Reilly Ellis). However, when he is visited in the night by his old partner Jacob Marley (Peter Shaver) and the three ghosts of Christmas Past (Karlianna DeWolff), Present (John Jenkins) and Yet to Come (Katherine Skittrell), he realizes that he is literally in a fight, not just for his future, but for his life. Originally adapted by the Royal Shakespeare Company, this production brings in a number of new elements and a few surprises. Accompanying Scrooge on his journey are a chorus of three ghosts (Eli Funk, Aaron Froc and Dayna Thomas) who capture Dickens’ ironic point of view and provide a bit of comic relief along the way. Staged by director Paul Gelineau, the production takes on a Tim Burton-esque feel. With a topsy-turvy set and lighting design co-created by students Calvin Baker and Nicole Janisch, it can feel at moments like the entire world has gone off kilter. But, says Kirkley, that is partly the point. A Christmas Carol is playing from December 10th to 21st. Information on specific performance dates and ticket prices can be found on the UFV Theatre website at www.ufv.ca/theatre or by calling 604-795-2814. 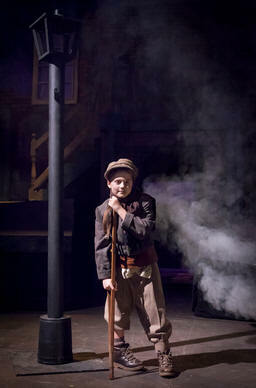 Tickets can be purchased online, over the phone or in person at the performance theatre at 45635 Yale Road, Chilliwack. Check out UFV's new Season of Theatre at UFV.ca/Theatre and buy your tickets through our Box Office. Phone us at 604-795-2814 or or email here or visit us at the box office on the day of the show.